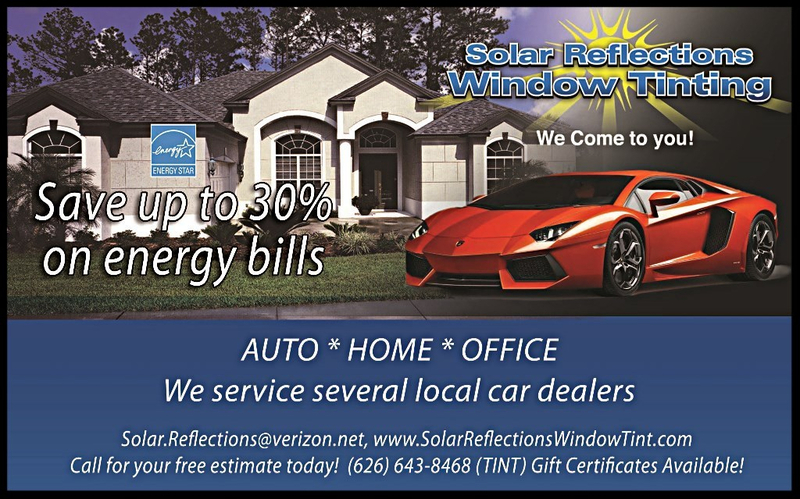 Established in 1998, Solar Reflections Window Tinting is unique in that it provides services to your home or office. We tint your auto right at your doorstep, allowing us to concentrate on one job at a time. Customer satisfaction is our primary goal. We strive to maintain a high level of quality and performance to ensure nothing but the best in window film installation. Whether you're in the market to tint your auto, home, or office, we have the qualified and experienced installer to get the job done, at an affordable price. Your satisfaction is guaranteed, so call us today for your free phone estimate.